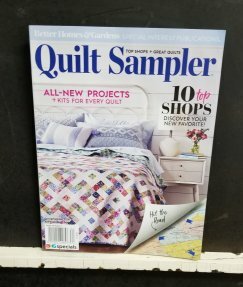 We didn't make it to Quilt Market this year, but our AWESOME rep took a picture, with our quilt featured in the Quilt Sampler Magazine! Laurie is our Moda rep, how fun would that be!?? 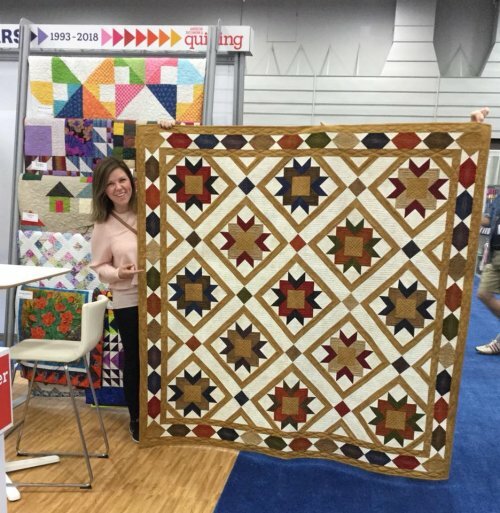 She was great help when we were in the process of picking material out for this quilt. And when a couple bolts were out of stock, she found material for us! Have you picked up our magazine yet?? We will even autograph it for you! *Also lots of products have been added to the website! Make sure you stop by often to see the new stuff!